Denim jeans originated in America, but I heard that there are some Japanese jeans makers which have become very popular in other countries also. This time, I investigated Evisu, a pioneer in classic replica denim style. 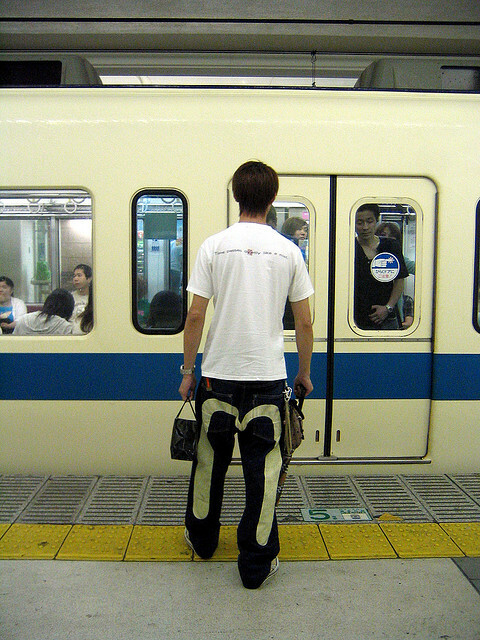 Evisu jeans originated in Osaka, the second biggest city in Japan. 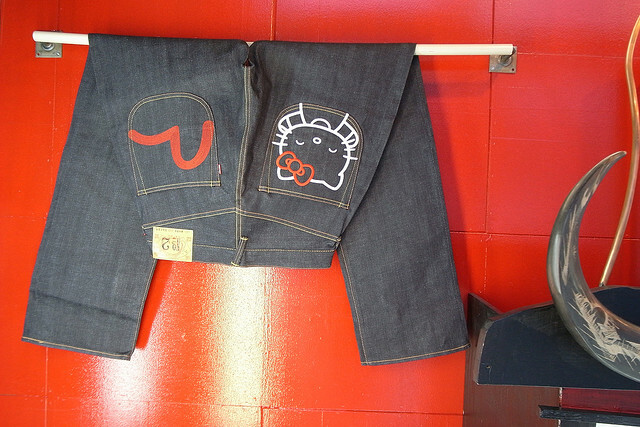 In 1991 the founder, Hidehiko Yamane, made the first Evisu jeans based on his old Levi’s 501 jeans. It could be said that the most distinguishing feature of Evisu jeans is the painting of seagulls on the pockets. 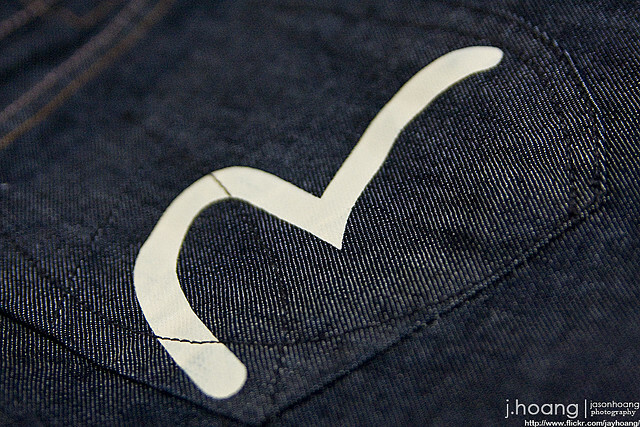 You can tell a pair of Evisu jeans at glance because of this back-pocket design. 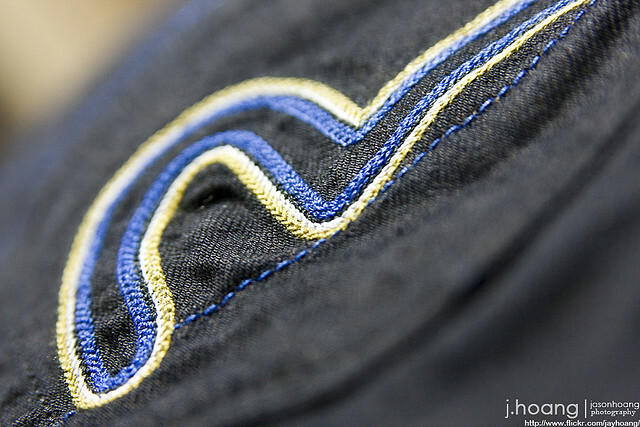 Denim enthusiasts call this an “arcuate” and it differs from brand to brand. I thought it was a shape of M, but it was not (^^;; Also, you can see many versions of the seagulls like in the photos below. Evisu designers seem to have fun creating variations on the back pocket design. Unlike mass produced jeans, the denim used for Evisu jeans is made in small batches and woven a little bit loosely on traditional looms. It is stiffer than other kinds of denim, and has a rough texture. Evisu jeans shrink easily when washed, but also stretch easily when worn. Thus, a pair of Evisu jeans takes on the shape of the person who wears them. Each pair becomes very special! Outside of Japan, Evisu jeans have become a very popular high-end brand. Nowadays many fancy shops sell Evisu jeans, and many celebrities like Madonna, David Beckham, and Beyonce can be seen wearing them. I’m proud to hear that Japanese brands like Evisu are loved worldwide(^^).